Home » Educator and veterinarian – homeopathic medicine, nutrition. I have been a veterinarian for 45 years and focussed on nutrition & homeopathy for the last 30 years. At this point in my career I provide training and guidance in the promotion of optimal health and the use of homeopathy and nutrition as very excellent ways to do this. My primary activity is lecturing, writing, putting on seminars and training programs. Thank you Dr. Pitcairn for starting this blog. I too am appalled at the prejudice that exists against Homeopathy without any regard for true evidence that it is not effective. Interestingly, there is a study occurring at the moment at McMaster University in Canada comparing nosodes effectiveness against those of vaccines. Dr. Mark Loeb’s hypothesis however is that nosodes do not work to provide immunity to diseases such as measles, mumps, rubella, diptheria, etc. That there will be no measurable antibodies. But the way I understand nosodes to work is that there usually are no measurable antibodies, but instead they work to prevent disease at a certain point of exposure (as during an epidemic, for example), so I feel that the study is already flawed right out of the gate. Thoughts? Nancy, not a simple question. From the homeopathic perspective, a nosode (made from the product of disease) is expected to be protective against a certain class of acute illness, not all diseases. Dr. Hahnemann tells us that there are acute diseases, like Distemper, that do not change much from year to year. It is this type of disease in which nosodes can be effective, because of the non-changeableness of the disease itself the nosode is still similar to it. There are many diseases that are frequently changing, such Parvo, Flu, etc, and nosodes usually don’t have much use with them. That is not to say that homeopathy cannot be effective in preventing them, just that when the epidemic (or case) occurs, one has to find the specific remedy that matches that current pattern. In this situation it is not a nosode but a homeopathic remedy such as made from a plant or mineral or animal product. Does this make sense? In regard to “measurable antibodies” the nosode will not bring this about as it acts at an energetic level, not the physical level. It is also interesting in immunology that having such antibodies does not always equate with immunity. Often does, but not always as immunity is more complicated than that. Studies like this are flawed, as you say, because they are coming from a materialistic orientation which is not the perspective of homeopathy. So of course they can be incorrectly carried out — if the purpose is to show homeopathic effect. Hello! My 10 year old miniature Doberman was just diagnosed with diabetes. I am questioning how this even happened. He has been getting into lots of different foods that he should not have. We solved that problem by confining him to the kitchen while we are out of the home. The last things he had gotten into was about 1/2 of a bag of marshmallows a few weeks ago. That’s when I noticed the excessive drinking and urinating. Then about 2 days ago I noticed he was leaking urine where he would be laying. Since the marshmallows I had been making sure he has water and taking him out to urinate as often as he needed. After I saw he was leaking I took him to the vet. He hadn’t eaten his breakfast that morning and they took blood and urine. The blood work came back saying his blood sugar was about 500 and that he was diabetic. He has to get insulin shot twice a day. Still waiting on the urinalysis results. He has been eating the same brand food all his life, Health Extension. Could this be a result of all the foods he got into be a cause? Is this something that happens with age? My other question is how do I know by his actions if his blood sugar is high or low? I am going to change his diet to what I have read in your book and also add supplements. Any suggestions would be greatly appreciated. He is a big part of our family and we all love him as if he were human!! My children think of him as their sibling. Please if you could tell me what we need to do to help our beloved dog, Dewey. Thank you so much! I wouldn’t think one marshmallow binge would cause any of this. I can’t say what the cause is for this, it could be more than one factor. I can say, however, that with my clients having a dog with this problem I first put them on a plant-based diet with no animal products. Feeding meat and other animal products is very toxic these days and I think causes many of the these health problems. I am not familiar with Health Extension food so I looked it up on line. Looks pretty good though they make the error of avoiding grains. I looked at just the original version and though the first ingredient was organic chicken, later ingredients were not organic. These included chicken meal, chicken fat, lamb meal, fish meal, eggs. So these are the things I would want to get out of his diet if were my patient. Check out the 4th edition of our book for specific guidance. Hello, I am looking in to alternatives to heartgard. So far, I’ve found a concoction that is made up of ginger root, black walnut, wormwood, andrographis, parsley root, and oat seed. It’s in a dropper form, called ‘HW protect’ from ‘only natural pet.’ I know that in your book, you say that you are reluctant to advise people to stop the use of heartworm preventative. But I’m feeling courageous and I’m on a mission to get my dogs as healthy as possible. One has mild seizures and the other has IBD. It just seems like the right thing to do. Do you know anything about this product, or have another that you would recommend? This problem is well addressed with homeopathic treatment. Check my website, drpitcairn.com, and the “Referrals” menu to find a veterinarian in your area that is trained in homeopathy. Good luck with this, wishing you the best. There is on one treatment for this. 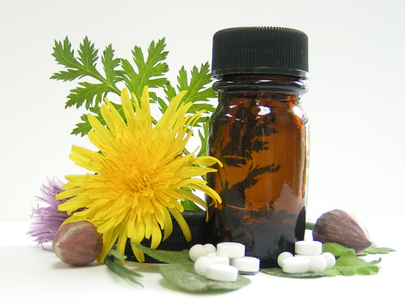 Best to work with a homeopathic veterinarian that can find the best remedy to administer. Check our website, drpitcairn.com, and use the menu “referrals” to find someone near you. Lina, if I have not already applied I suggest you contact a homeopathic veterinarian that can treat this with the use of that method. There is a list of those willing to take on new clients on my website, drpitcairn.com. Check the menu item “referrals.” Good luck with this. I know a difficult one to deal with. Cristina, obviously must be a sensation there. Could be itching or crawling feeling. I don’t know why it is happening. You could have ear examined for mites but it may not be anything detectable. Dee, I don’t see that as a symptom of illness in itself. It could mean the bowels are over-active but there would need to be more determination of that to make that decision. You can check the stools and make sure no food coming through undigested. If you are uneasy with it, have your vet do an exam. Good luck.